The Gas Department has had no major accidents in its history and hopes to continue the trend. 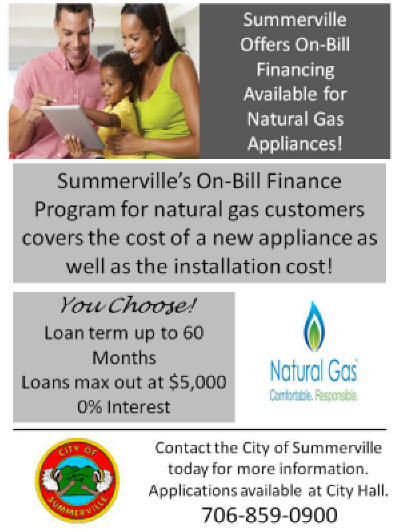 The Summerville Natural Gas employees are highly trained in various skills of the natural gas industries. In order for an employee to be qualified to do work on every aspect of the natural gas system, he or she must be certified on 50 different levels of expertise. 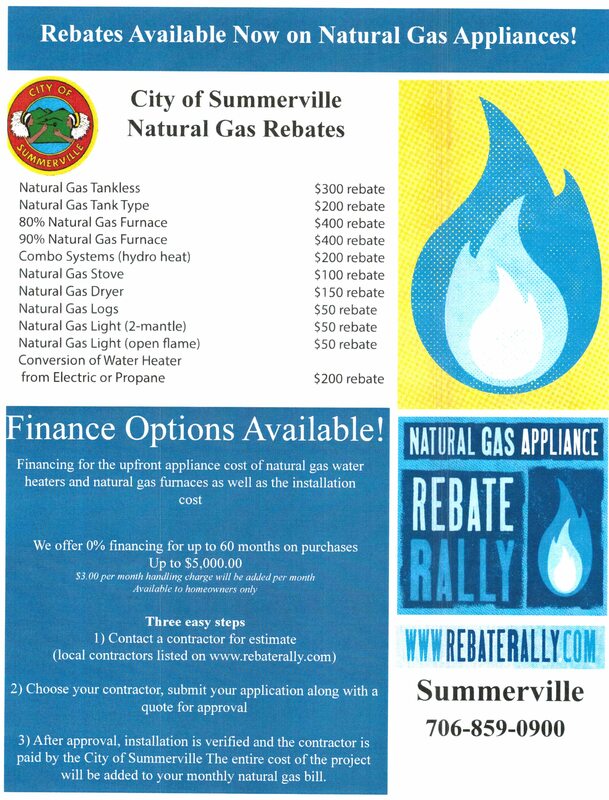 The Summerville Natural Gas Department must adhere to strict guidelines handed down by the Georgia Public Service Commission, and is inspected by the PSC at least once per year. For more information contact Terry Tinney at 706-859-0907.